The primary function of the hip is to support the weight of the body and retain balance when standing or when walking or running. The hip is an important part of the body and, if you have severe physical joint damage, your doctor may recommend hip replacement surgery. Mat-Su Regional Medical Center surgeons practice an advanced form of hip replacement surgery called anterior hip surgery. It involves a very minimal three to five inch incision that does not cut major muscle groups. This is very important for faster recovery. It also uses a special imaging technology that allows the doctor to see the surgical area without a large incision. Mat-Su Regional Medical Center is the only hospital in Alaska to offer partial knee resurfacing using robotic arm technology. This advanced technology assists your surgeon in attaining precision to help restore your mobility and active lifestyle. Partial knee resurfacing is a minimally-invasive treatment option if you're living with early to mid-stage osteoarthritis which has not progressed to all three compartments of the knee. The procedure is powered by a 100% surgeon-controlled robotic arm system allowing for greater precision in your partial knee resurfacing procedure. In this procedure, the diseased portion of the knee is resurfaced, saving as much of the original knee and surrounding tissue as possible. 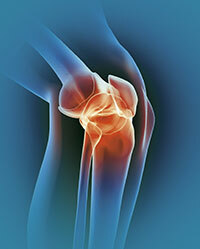 An implant is secured in the joint to allow the knee to move smoothly again. Before surgery, the surgeon will use the system to pre-operatively plan and map your knee and identify the area(s) of the diseased bone to be removed. During surgery, three-dimensional visualization of the knee and the robotic arm provide your surgeon with real-time visual, tactile and auditory feedback. Orthopedic surgeons are independent members of the medical staff at Mat-Su Regional Medical Center.